Because we know that healthy lifestyles are achieved through nurturing mind, body and spirit, well-being and fitness at the Y are so much more than just working out. Beyond fitness facilities, we provide educational programs to promote healthier decisions and offer a variety of programs that support physical, intellectual and spiritual strength. At the Y, a supportive community is a big part of wellness. At every age and every level of activity, you’ll find people just like you looking to live a little bit healthier. All locations are designed to make our members, staff, and guests feel comfortable while at the Y. We take pride in being able to assist all members with adaptive fitness equipment not only in our fitness centers but also in our pools and some fitness studio spaces. In addition, many locations are equipped with an adjustable suspension system that allows individuals to use cardio equipment like a treadmill, participate in group exercise classes including Zumba and BodyFlow, or perform other exercises from a standing position. Contact your local Y for more details. Our Diabetes Prevention Program is for individuals who are at risk for prediabetes. It is a group based program designed to help participants learn strategies for eating healthier, increasing physical activity and making other changes to improve their health and well-being. If you’re new to the Y or are unsure about how to use some of the equipment in our fitness centers, we’re here to help. During your complimentary Fitness Center Orientation you will meet with a trainer or instructor who will show you the basics on how to use the gym equipment. Contact your local Y to schedule an appointment today. Let us help you reach your goals! FitQuest is a program designed to meet your specific fitness needs, and is included in your Y membership at no additional cost. Our trained wellness coaches will teach, guide, motivate and give you the personal attention you need to successfully reach your wellness goals. Schedule an appointment to get started today! With Y approved exercise and meal plans tailored to you, our coaches will create a program for any age and fitness level. During your FitQuest appointment, your wellness coach will help you set up a profile in our free ActivTrax app. This revolutionary, web-based app will create a new workout, customized just for you and keeps track of your progress. Ys offer classes for all ages, all levels and all interests. From low-impact exercise and chair classes, stretching and strength training to indoor cycling, water exercise, and yoga, you’ll find a group class that’s fun, supportive and keeps you moving. 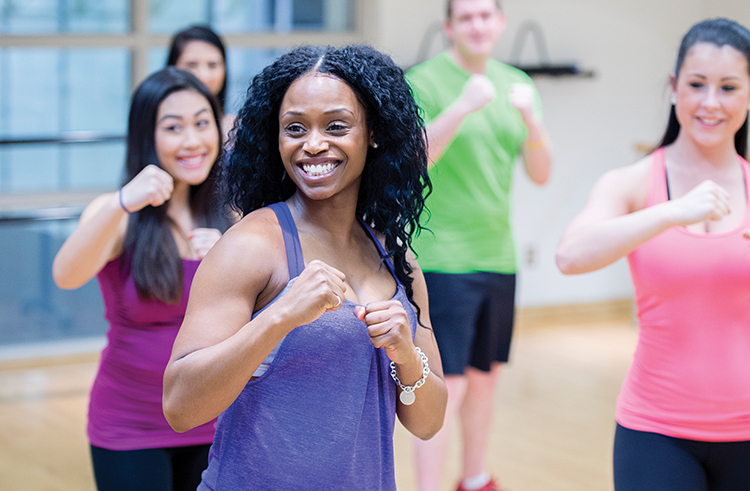 Most group exercise classes are included in your Y membership. For a full list of offerings by location, visit the schedules section of our website, or download the YMCA of Delaware App. Healthy Weight and your Child is a 4-month evidence-based program for children with obesity. With support from their family, this program empowers kids ages 7 – 13 to reach a healthy weight and live a healthier lifestyle. ** Currently this program is only running at our Dover YMCA branch. The LIVESTRONG at the YMCA program supports the increasing number of cancer survivors who find themselves on the journey from completing their treatment to feeling physically and emotionally strong enough to return to normal life. These small group sessions are facilitated by certified YMCA instructors who assist participants in a variety of physical activity options including cardiovascular conditioning, strength training, balance and flexibility. Find your center in our Mind/Body classes that will push you to focus, stretch, strengthen and relax. From holistic workshops and yoga to pilates and meditation- we have classes for all skill levels. Visit the schedules section of our website for class times and details. We all need the advice of an expert sometimes as well as the personal attention that comes with a trainer or coach. Our Y’s offer certified personal trainers and coaches to help you set and meet your specific goals. We also invite you to train with a friend; you workout together for half the price! Contact your local Y to schedule an appointment today. At the Y, we love running, whether it is on the treadmill, the track or the pavement. This exercise can benefit almost every part of your body and boost endorphins to improve your mood. Whether you are training for a marathon or a couch to 5k, we have something for all levels. Check with your local Y for details. For those who enjoy more specialized attention, we also offer Small Group Training. Small Group Training Programs are specialty classes designed for small groups which create semi-private training opportunities. Choose from a variety of classes like aerial yoga, boot camp, TRX, kickboxing, cross-functional training and more. Class size is limited and registration is required. Check with your local Y for details. Whether you miss “suiting up” or are new to team sports, the Y’s sports leagues provide a perfect opportunity to be active, social and reconnect or start fresh with a sport you love. Basketball, soccer, tennis, volleyball and pickleball are just some of the options available to get you back on the court or on the field. For more information or a current schedule of programs, give us a call, or click here. Have you thought about moving your workout to the water? Jump in the pool and make a splash in water Aerobics, Yoga, Pilates, Tai Chi and more! The water’s resistance can improve strength, flexibility, and cardiovascular health as well as facilitate rehabilitation and even enhance sports skills. Water fitness provides a low-impact way to get in shape and is ideal for all skill levels, non-swimmers included. Contact your local Y, or visit the schedules section of our website for class times and details. At the Y of Delaware, we have so much to offer, it’s hard to list it all! For more information or a current schedule of programs, give us a call, or click here.